In case you missed our May Newsletter . . .
How Can You Manifest Change in Your Life? I receive lots of inquiries from people asking how I got my book published. I usually respond glibly, “Tenacity!” And that was certainly one aspect of the process. But the truth is that I practiced what I preached in my book and focused a lot of energy and belief on the energy of getting my book out there. In my opinion, this is how one sets out to manifest what they are focusing on. I explored this in a recent article on Thrive Global. I believe, after reading books by Deepak Chopra and a myriad of other authors, that everything is energy. And that belief shapes everything else. Each energy has a specific vibration, as Esther Hicks/Abraham explains. And we must be “on the same frequency,” to use a common metaphor, to be in alignment. Once this alignment is met, things start to happen. If the vibration is high, as in joy and gratitude, you start experiencing more joy and gratitude, and more things that bring you joy and gratitude start to come your way. The trick is to start feeling that joy and gratitude now. It’s a bit of a conundrum, but honestly it is joy and gratitude that bring more joy and gratitude. My approach: act as if you already have your dream. Look for the good in things you experience, try to live in joy as much as possible. Start every day with gratitude. Before you even get out of bed, focus on what you are grateful for. Choose three things every morning. Write them down in a journal if you have the time and the space. If that feels too hard, then just say it in your mind: feel the gratitude of having a warm bed, of knowing you can take a hot shower, of having food in your fridge. Focus your gratitude on what you already have in your life; this will impact your entire day. As you think about that big goal, act as if it is already yours. Be in your life as if that goal is already there. Feel the joy of it. After all, ultimately aren’t we all searching for more joy? If you want to read more about this, check out the whole article on my blog. PS: For those of you who may still be wondering about the perfect gift for Mother’s Day, or for your mother any day … look no further! If your own mother or another mother you love likes Julia Cameron, Brené Brown or Annie Lamott (or all three), then This Way Up is a great gift! This summit will be live May 21 to May 31. I’m so excited to share this summit with you! 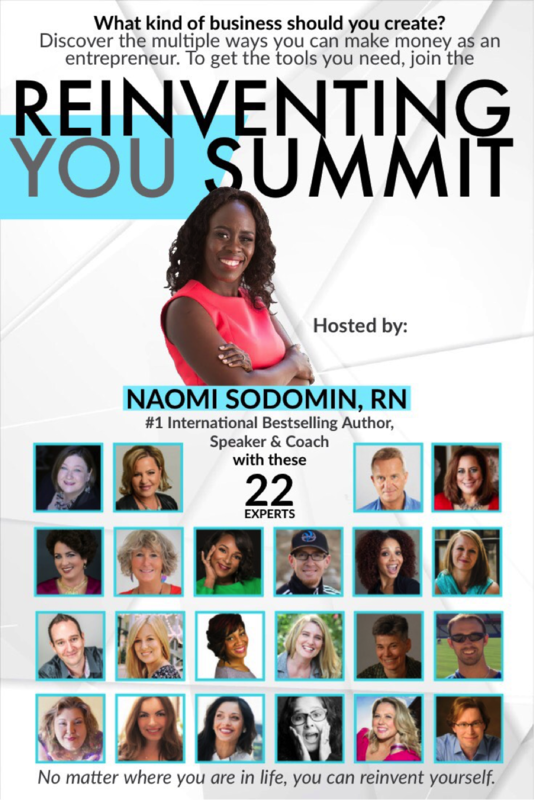 The summit is hosted by my friend Naomi Sodomin. Naomi is the international best-selling author of Embrace the Mirror: Vision of Abundance and a Stronger You. And an all around inspirational woman. If the path you’re on right now doesn’t light you up … if it doesn’t make you love your life, then it’s simple: you have to change it. Why wait to start a new journey, when the opportunity to begin that journey is right here? Join me and 20 other experts for the Reinventing You summit. This Way Up Will Soon Be an Audio Book! This Way Up is being made into an audio book! (I know, I know, I’ve been saying this for months! But we are in the final stages now … so close!) When it is finally ready, it will be available on my Amazon page and I will send a special link for the book in my newsletter. I can’t wait to share this new version of the book with you! In case you missed our April Newsletter . . . Thank you for being part of this community! Keep reading for more on making joy stickier, news about upcoming summits, and updates about the This Way Up Audio Book! You can always find me at ThisWayUpBook.com. 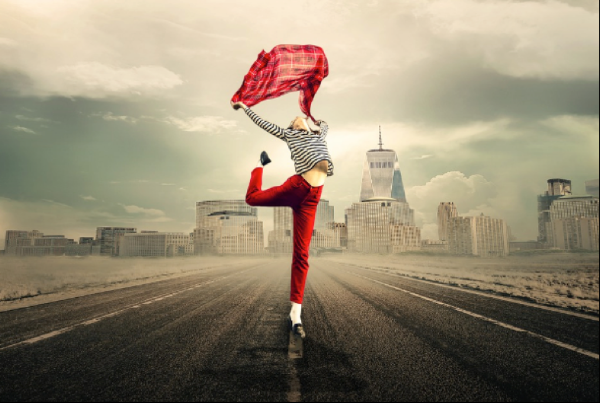 If Joy Is a Choice … How Can We Make It Stick? Joy is always a subject I like to write about. Recently I’ve found joy in listening to anything by Tara Brach, so it’s fitting that I should start this newsletter about joy with Tara Brach’s description. She describes joy as the aliveness and openness that occurs when we let ourselves be available to the whole play of existence. It’s a natural capacity, it’s in our wiring, and it can be cultivated. Joy comes from a habit of thinking and interacts closely with our biochemistry. I explored this in a recent article on Thrive Global. We sustain a joy “set point” based on what we think about and focus on. 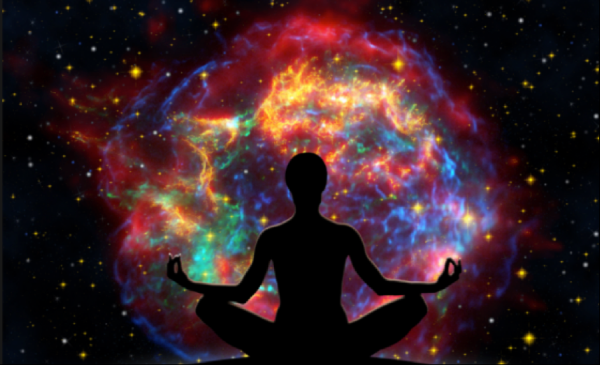 Deepak Chopra explains that when you activate a positive belief, your cells get the message. One way to cultivate joy is through gratitude. Studies have shown that gratitude changes the body-mind chemistry. So when you have an experience and you feel good because of that experience, take time and allow yourself to feel good; pause and let it sink in. To use the language of technology: install it. “Scientists believe that your brain has a built-in negativity bias. In other words, as we evolved over millions of years, dodging sticks and chasing carrots, it was a lot more important to notice, react to, and remember sticks than it was for carrots. That’s because, in the tough environments in which our ancestors lived, if they missed out on a carrot, they usually had a shot at another one later on. But if they failed to avoid a stick, a predator, a natural hazard, or aggression from others of their species—Wham, no more chances to pass on their genes. You can read more about this and watch Tara Brach’s wonderful meditation about Joy on my latest blog post. 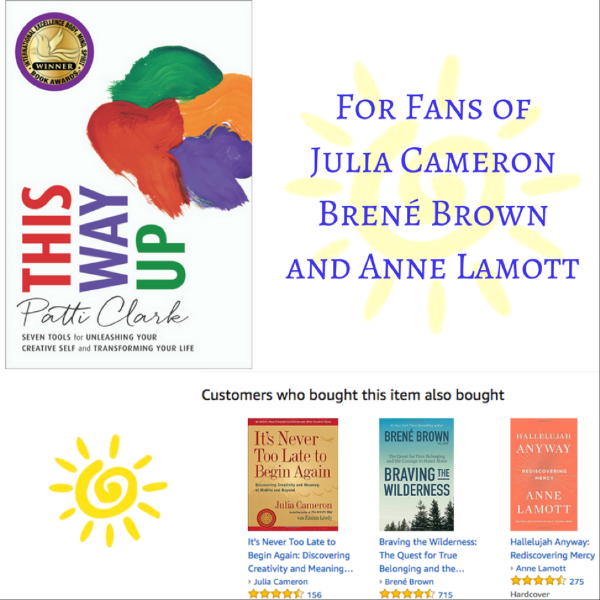 PS: Speaking of joy, it was with extreme joy that I discovered that people who bought books by Julia Cameron, Brené Brown and Anne Lamott also bought my book, This Way Up. What an affirmation! You can find that podcast and other past podcasts and interviews on my website, on the media tab, under interviews. Live online now. 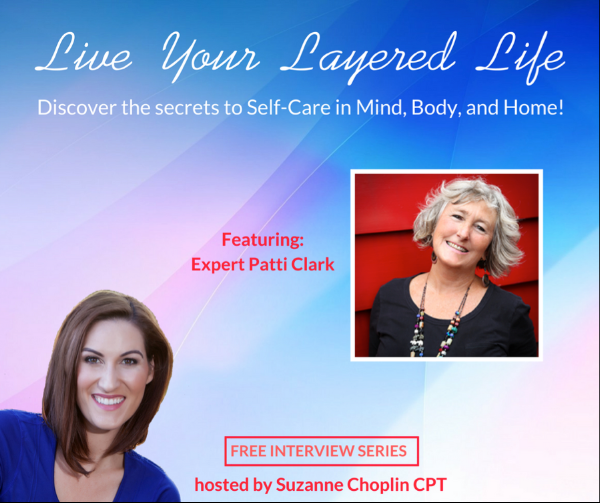 Discover the secrets to self-care in your mind, body, and home! This summit is hosted by my friend Suzanne Choplin. It’s packed with great information and I think you’ll enjoy it. Learn more and join the event. This summit will be live from May 21-31. Watch this space for more information. The second summit is with my friend Naomi Sodomin. Naomi is the international best-selling author of Embrace the Mirror: Vision of Abundance and a Stronger You. And an incredibly all-around inspirational woman. Illuminating your greatest fears (aka blocks) – so you can finally move past them. Identifying and overcoming challenges that are keeping you from taking action on the things that are important to you. Getting clear on what it is you want to create, so that you can take those first steps, now! This Way Up is being made into an audio book! (Yes, the process is taking longer than I thought it would.) When it is ready, it will be available on my Amazon pageand I will send a special link for the book in my newsletter. I can’t wait to share this new version of the book with you! What makes you happy? Simple question, but one that is worth thinking about. What makes you happy in this moment, for as Omar Khayyam declares, this moment is your life. At the moment I am smiling and feeling happy. The sun is shining, the view from my window where I sit writing is beautiful, and I love to write. So it’s easy to be happy in this moment. What makes me happy in that larger sense, well that’s pretty easy for me too. My sons. I only have to think of my two sons, and a smile spreads across my face. They are on the other side of the Earth from me at the moment, and that tugs at my heart and tempers my happiness a bit. But nothing can take away the joy that those two amazing young men bring. They make my heart sing . . . in loud operatic ways! Professionally I have a lot to make me happy. Today I saw people who like books by Julia Cameron, Brené Brown and Anne Lamott also like my book, This Way Up. That makes me really happy. What an affirmation! This gives me a real feeling of accomplishment and achievement, which is one of the places happiness sits. 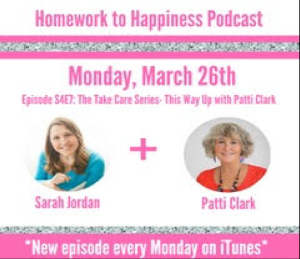 It was my great pleasure to be interviewed on the topic of happiness recently by Sarah Jordan. We talked about an array of topics but really focused on happiness..what it is, the benefits, and how we tend to block it. I’ll close this post with a wonderful Ted Talk that has been around for awhile. Cognitive researcher Nancy Etcoff looks at happiness — the ways we try to achieve and increase it, the way it’s untethered to our real circumstances, and its surprising effect on our bodies. It’s interesting and informative and well worth the watch. I’d love to hear what makes you happy. What are you happy for in this moment? What brings you happiness in your life? Posted in Choice, Gratitude, Happiness, Inspiration, Joy, This Way Up: Seven Tools for Unleashing Your Creative Self and Transforming Your Life	Tagged Anne Lamott, Brene Brown, Choosing Happiness, Happiness, Happiness and it's surprises, Joy, Julia Cameron, Nancy Etcoff, Omar Khayyam, Patti Clark, Sarah Jordan, TED Talks, This Way Up, This Way Up: Seven Tools for Unleasing Your Creative Self and Transforming Your Life, What makes you happy? The renowned Scottish philosopher, David Hume, tells us that we choose our favourite author as we do our friend, from a conformity of humour and disposition. Well that certainly fits for me. My favourite authors will be of no surprise to anyone who has read my blog posts for awhile. I consider both Anne Lamott and Julia Cameron to be, not only my favourite authors, but also mentors for me, in both writing and in life itself. So you can imagine my absolute honour and tearful gratitude when I went to my amazon page and found this . . .
Amazon telling me that people who bought Julia Cameron’s and Anne Lamott’s books are also buying This Way Up! This is the highest flattery I could ever receive. I am humbled and grateful beyond measure. It absolutely makes my heart sing! So for those of you out there looking for the perfect gift this holiday season for a woman in your life that loves Annie Lamott and/or Julia Cameron, look no further! I’ll close this post with a wonderful TED talk by Annie Lamott, 12 Truths I Learned from Life and Writing. I’d love to hear about your heroes and mentors. Some people claim that they have to create – that painting or writing or making music is as essential to them as breathing. That is not the case for me. I usually feel like I have to force myself to take the time to be creative. I set time aside to journal or write or just doodle because I know that that is the time when I can really connect with the source, with the truest part of me. Other people are the oposite; instead of feeling like they have to create, they feel like they absolutely cannot create. Those people feel that creativity is only found in the chosen few. Creativity is not found just in the chosen few who exhibit artistic talent. It is a force that flows through every single one of us, allowing us to dream things up and make them happen. In a wonderful article on Greater Good Website, Ten Things Creative People Know, Peggy Taylor and Charlie Murphy explain that Creative expression opens the door to the inner world of our imaginations. It is here that we make meaning of our lives. It is here that motivation takes root. The more creative we are, the more capacity we have to imagine what’s possible and make those visions real. But it’s important for me to explain, that for me anyway, it isn’t always easy. It takes effort and determination and tenacity. I force myself to journal every morning before I get up because I know that that is the time that I sometimes get glimpses of what is possible and ideas about how to make them real. I sometimes get flashes of insight that lead to amazing things. And sometimes I even get lost in doodling or drawing and just love what emerges. It’s glorious to get lost in that flow. Not that it’s anything I’d ever sell as ‘fine art’ – it’s just amazingly cool to get lost in, and to connect with that deep sense of self in the process. 1. Our lives have meaning. 2. We are all creative. 3. Creative expression empowers us. 4. We are good at heart. 5. Life is an adventure to be lived, not a problem to be solved. 6. Change is an inside job. 7. Diversity is a resource. 8. We thrive when we feel supported. 9. We each have the power to make change. 10. The challenges of our time require intergenerational collaboration. We all have this potential and this gift. It’s just that it isn’t always easy and often requires effort and determination to focus on our creativity – even if it’s only for 5 minutes before we get out of bed. I’d love to hear about how you feel about your creativity. And as always, thanks for taking the time to visit, I appreciate it. I have a really busy head! It can often feel very chaotic inside my brain. And when the old “mind masturbation” thing starts happening, I know I need to get it out instead of letting it fester inside. But not only is journalling an excellent way of stopping the chaos, I have also learned it’s actually good for me! My very favorite book regarding journalling is The Artist’s Way by Julia Cameron. The Artist’s Way is a brilliant book, full of helpful, insightful, wonderful tools. If you have time, take a minute to watch this wonderful video of Julia Cameron. She’s such an inspiring woman! If you journal, I’d love to hear about why you enjoy it. And let me know if you enjoyed watching Julia Cameron. As always, thank you for visiting my blog. I appreciate it.